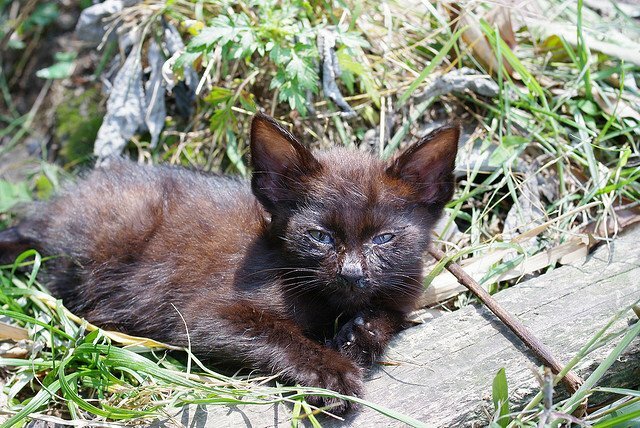 Would you know if an animal needs help? 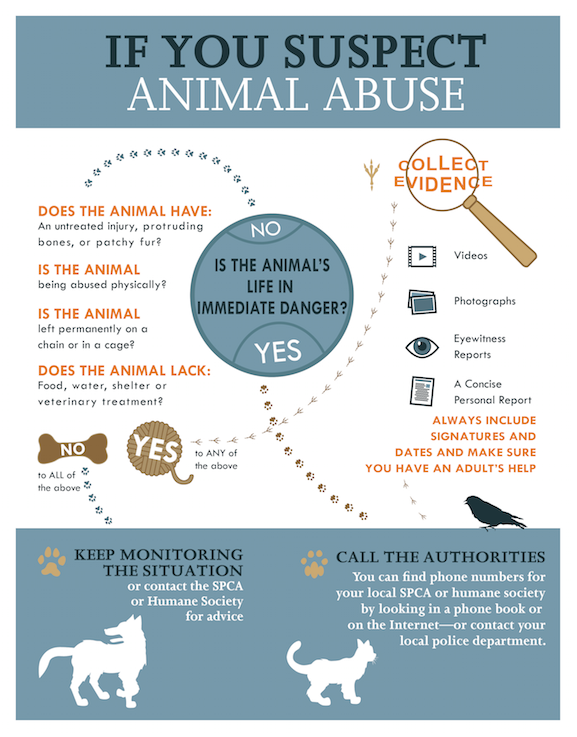 Read our tips for recognizing animal cruelty and abuse. When was the last time you heard of anyone turning him- or herself in for animal abuse? It just doesn’t happen often, if at all. It’s a fact that most animal abuse is never reported. Another fact? The abuse of pets and animal companions is a frequent occurrence in the United States, an occurrence we’re reminded of daily through Facebook timeline posts and celebrity-laden commercials pleading to end animal cruelty. In the United States, 550 animal abuse cases were reported in 2012, including neglect, shooting, stabbing, fighting, beating, mutilation, torture, strangulation, burning and poisoning. 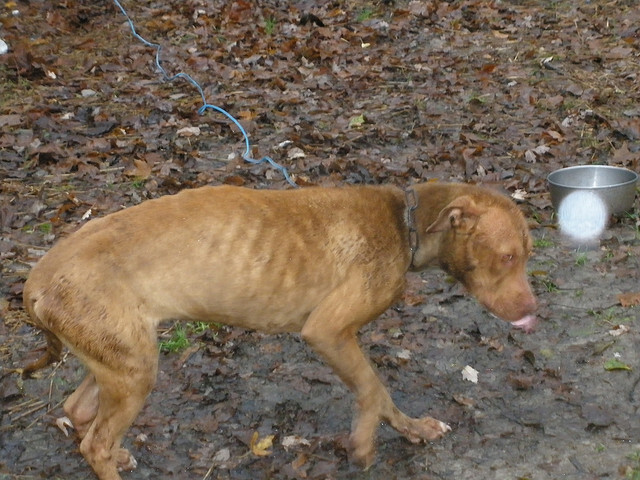 Many animals suffer multiple forms of abuse, with the most common type of abuse being neglect and abandonment. 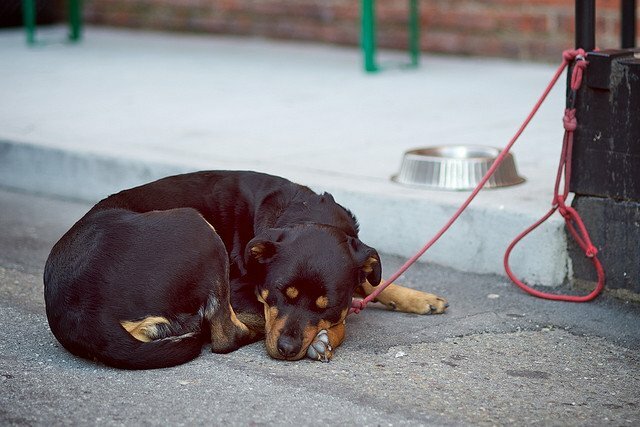 Dogs and cats are the most common victims, but abuse happens among other animal species, including domestic farm animals, wild animals, small pets and all manner of bird and fowl. These statistics represent only a fraction of the animal abuse being committed every year — and because abusers aren’t turning themselves in, it falls on the general public and animal lovers to learn how to recognize the signs of abuse and what to do about suspected animal cruelty. All animal cruelty cases are separated into three categories: unintentional, intentional and cruel intent. Once you learn to recognize the warning signs of animal abuse, you’ll be better equipped to report it. It may be hard to believe, but many people don’t even know that the harm they are inflicting on their pets is in fact abuse. This type of abuse is known as unintentional, and it’s caused through neglect, animal hoarding or failing to meet an animal’s basic needs. Intentional animal abuse and cruel intent both refer to abuse that is performed with the knowledge that an animal is being harmed and possibly injured. Cruel intent is often recurring, and abusers in this category feel a sense of power, control or enjoyment when inflicting pain on others. The above conditions by themselves do not necessarily mean that an animal is being abused, and it’s important to examine the entire situation before jumping to conclusions. For example, you might notice that your neighbor’s three cats are infested with fleas and are physically uncomfortable. After a short conversation with your neighbor, you learn that all three cats are being treated, and they appear healthy and socially adjusted. You conclude that these cats are probably not being abused. On the other hand, you notice another neighborhood dog with an obvious flea infestation who also looks emaciated, has open sores on its body, and acts aggressively when approached. In this case, you may have reason to suspect abuse. One important note: Do not approach an aggressive owner with accusations of animal abuse. Instead, notify authorities and allow them to handle the case. Pets have no voice to cry out for help. They aren’t able to alert authorities to abuse, and they can’t quietly discuss their pain and injuries with a veterinarian. You have to be the eyes and ears for the animals you encounter to ensure that if there is any abuse, it can be stopped in time before serious injury or death occurs. To report animal cruelty, notify local law enforcement or your state’s local humane, animal control or animal shelter organizations immediately. Be prepared to provide them with dates, locations and specific instances of abuse so that any animals in danger can be rescued immediately. Infographic design by Sarfaraaz Alladin. Reprinted with permission from Pajama Press. Have you ever witnessed or reported animal abuse? What are your thoughts on your state’s current animal abuse laws? Tell us in the comments below!